Born in London (January 6, 1714 - December 22, 1788) and apprentice to Edward Nourse. Percivall Pott made some groundbreaking discoveries in the fields of cancer research and surgery techniques. 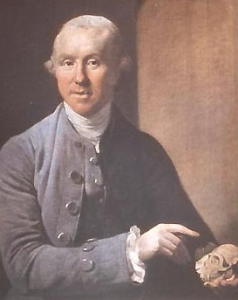 He discovered the link between occupational carcinogens and scrotal cancer in chimney sweeps and wrote multiple scientific articles in his lifetime until his death on December 22, 1788, London, England.